If you’ve been worrying about whether or not your furnace will survive the winter, but have no idea how you’ll manage the cost of replacing it, our flexible financing program is worth considering. We provide you with a free quote to review your existing furnace and can help you determine the best approach for replacement. 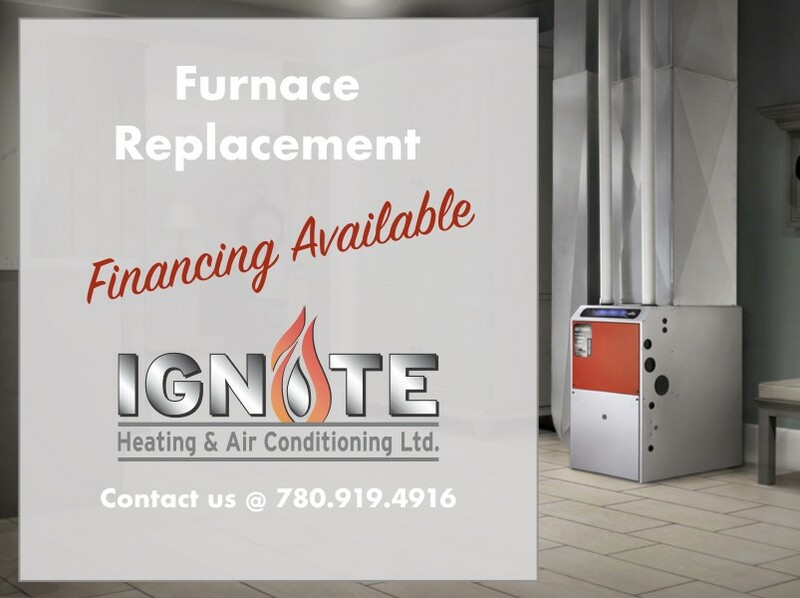 Call us today @780.919.4916 to book your quote for your furnace replacement and discuss our financing options! Join the Ignite Maintenance Club! We provide furnace repairs and replacements, ventilation and air conditioning services to residential and light commercial building in Sherwood Park, Edmonton, and the surrounding areas. Quotes are provided after a job site visit is completed; accurate measurements are acquired and product selection is provided to ensure that all parties involved are aware of the scope of work and the price to complete the work. We are available for Emergency Calls 24/7 to help you @ 780.919.4916. At Ignite, your comfort is our concern!